Some Srs Bsns: Are Words Without Vowels Rlly More Efficient? Vowel-less words, like srsly, thx, k, pls, rlly, srs bsns, and o rly, are a well-known feature of internet language. They save time and space in typing, but are they really more efficient? Why do we use these abbreviations and not others? How is it that we can actually understand them? And are they just straightforward abbreviations, or do they pick up additional meaning? First of all, why would we omit vowels rather than consonants? Well, there are a couple reasons. One is that while words tend to contain a fairly even split between sheer numbers of vowels and consonants, there are far more kinds of consonants than kinds of vowels: your odds of guessing the right vowel are 1 in 5, while your odds of guessing the right consonant are 1 in 20 (ignoring y). So it's easier to tell that cnsnnt is "consonant" with the vowels removed than that oe is "vowel" without any consonants, especially if you have some clues from the general topic of conversation. In fact, if you look at writing systems around the world, not all alphabets even include vowels: in Arabic and Hebrew, for example, you don't normally write the short vowels because they only have three of them (a, i, and u), so it's pretty easy to figure out which to say where from context. But there aren't any languages where you only write vowels and not consonants. 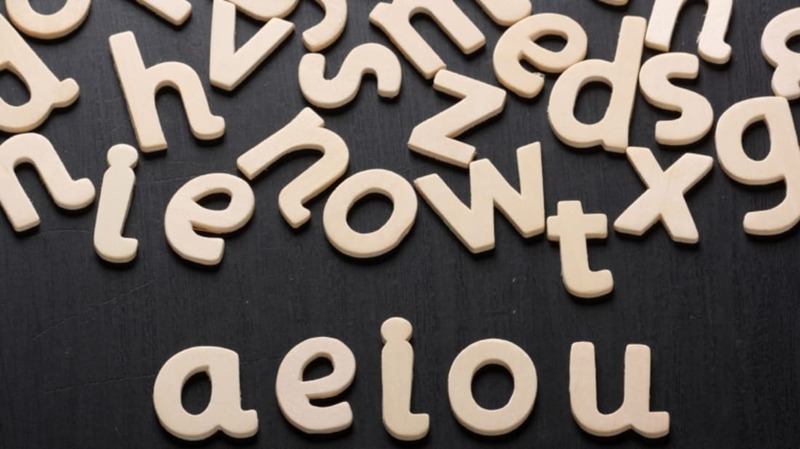 What's going on with these internet slang words is actually slightly more complicated: a lot of these "vowel-less" words aren't exclusively missing vowels. Rather, it's something like any "less important" letter. For example, double letters get dropped in srs bsns and o rly, thx loses its 'n' and combines its 'ks' into 'x', and the 'y' in rlly and o rly is kept despite being pronounced like a vowel (not to mention o rly's 'o'). And that starts getting us into other ways you can drop letters — is v. for very a v. tiny acronym, or simply a few centuries of people deciding that the '-ery' simply isn't that important? And the newer p for pretty is p much the same question. Whether they're strictly vowel-less or just reduced, though, don't these words just mean the same as their longer equivalents? Well, not so fast. Some of them do, pretty much: pls and thx and k are just slightly quicker and more informal than please and thanks and ok. But srs bsns embodies a contradiction: "serious business" sounds, well, serious, and internet slang is anything but — it's not surprising that its primary use has always been sarcastic. And finally here's a question that I can't figure out by myself: if you use any of these terms, how do you pronounce them in your head? Since it's hard to pronounce a word without any vowels at all, I think I often end up mentally saying the vowels a bit quicker or less distinctly than the vowels in the original words, but they're still basically there. Srs is perhaps only two syllables (ser-russ rather than se-ri-ous), and v. and p get pronounced like the letters. But of course, I can't hear anyone else's voice inside their head, so how would you say them?